Three scenic areas offering different vantage points of the raging river below and majestic cliffs above. Taroko in a Day is specifically designed for visitors wanting to optimize their time at Taiwan’s must-see attractions. A fifty-minute plane ride will take you from Taipei to Taiwan's most iconic, scenic spots featuring the largest marble canyon in the world. As you wind your way through the gorge's scenic road you'll learn the area's history, legends and more before stopping for a brief hike along Shakadang trail. After lunch, you'll spend the afternoon visiting Swallow Grotto, Lushui Trail and Buluowan, three scenic areas offering different vantage points of the raging river below and majestic cliffs above. Finally, it's back to Hualien for dinner at the Dongdamen night market before catching your flight back to Taipei in time for a nightcap. Valid passport required and comfortable shoes recommended. Cancellations are permitted up until 48 hours before departure with a 15% cancellation fee. Cancellations made 48 hours or less before departure are non-refundable. We rarely book tours as exploring on our own allows us to take our time and works out to be cheaper! however, I highly recommend this tour! Taroko National Park is one of the nine national parks in Taiwan. The sights are breathtaking, accompanied with an interesting history. 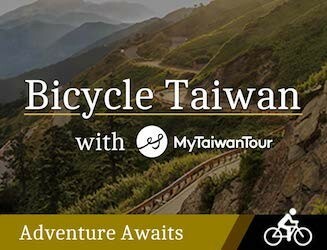 We only had a short stay in Taiwan but really wanted to visit so we found this a perfect one day tour. Travelling to Hualien by air saved plenty of time. Preferred this method over a 3-hour train ride. Our flight booking confirmation details were emailed 2 days before the tour so we could print them off or save e-ticket on your mobile. Hopped on an early flight departing from Taipei Songshan Airport. Our tour guide, Alicia, met us at Hualien Airport. There were no others, so it ended up being a private tour! We started our tour early which meant that we missed all the big tour groups and could really enjoy the tranquility. Our first stops were the Qingshui Cliff and Qixingtan Beach. The morning mist made for amazing photos! Then we headed into the National Park! Started off with more photo ops in front of the entrance. We trekked the Shakadang trail which wowed us with its crystal-clear turquoise water and rock/marble formations. Next, visited the Eternal Spring Shine which stands as a memorial for the workers that died during the construction of Central Cross-Island East-West Highway. From Changuang Temple, we crossed the suspension footbridge to climb the stairway to heaven, reaching the Taroko Bell Tower. We had lunch at the restaurant located in the Taroko National Park Visitors Centre. We had a nice choice of lunch options included. Lunch was enjoyable and Alicia met us in the lobby afterwards and we had a brief exploration of the exhibition there is also a film presentation on display. From there, we walked along the Swallow Grotto trail. Safety hats had to be worn due to the risk of falling rocks Alicia provided these. The cliff face against the Liwu River was truly magnificent! Then a visit to the Buluowan Visitors Centre exhibition halls where we learnt about aboriginal culture specifically the Taroko tribe. There was a lovely short film to watch. Alicia also took lead us through the Meander Core Trail which had several platforms that overlooked the Liwu River, Sipan Dam and sections of the eastern edge of Swallow Grotto. Alicia wanted to take us further in but there were road constructions as a result of landslides so we headed back out instead. We headed back to Hualien to Qixingtan Seven Star Lake.. getting it's name from the reflections of the stars - the beach, looking out to the Pacific was beautiful! Alicia tailored the tour to our interests and it was a jammed packed day! We ended up getting pretty tried and rather than the night market, we asked to go into the city instead we had already been to so many different night markets in Taipei which she was happy to accommodate. She organised a meeting point and picked us up, before returning us to the airport - even checking us in at the counter! The flight home to Songshan Airport was smooth. An easy MRT back to our accommodation. Quick stop for dinner snacks and we were ready for bed! Taroko would be one of the highlights of our trip! Alicia was a really lovely guide! She is experienced, knowledgeable and easy going. Her vehicle was new, clean and comfortable. She provided us with water, raincoats, etc.. She even tried to buy us drinks! Ask her as many questions as you like! Please make sure you leave her a tip! I'll only post two photos as a tease because you really have to see these sights for yourself!! Tip: Have a good night sleep before and remember to wear comfortable shoes as there will be plenty of walking in between the car rides. Taroko National Park has plenty of places to see and do! This tour is more expensive than going by a train, but it’s totally worth it since you can get there within an hour. The guide is a very good person, I was given a banana as a snack! She also took me to find a secret bath which is really difficult to go if you were travel by yourself. There are few places you can explore on your own, so basic English communication skill is essential if you are not a English speaker. I highly recommend you to join Taroko Gorge day tour from MyTaiwanTour! You will inspired by the Gorgeous scenery and the Amazing view. I was with Ivan the Taroko gorge day trip by plane! A grey day but no rain! It was just me and a friend I met on the tour with Cola so we felt quite special! Ivan is a great guy. For me we could have skipped the night market and stayed in the gorge longer but hey there are a lot of people who love the night markets. 422 people have browsed this in the last week.